On Sunday, 23rd February 2014, grab your smartphone and fire up your Instagram. It’s time to be a part of an Instameet which is pretty different from the ones usually organised in Ahmedabad. This time round, you will play a scavenger hunt with the use of Instagram! What is an Instagram Scavenger Hunt? Imagine a scavenger hunt, but with the use of Instagram! Instead of paper, the pictorial clues will be provided via an Instagram account. The participants will have to follow that Instagram account to receive the clues. The Instagram account that you need to follow will be shared on the day of the event. The scavenger hunt is an open for all event and does not have any registration charges. The idea is to explore the heritage marvels of the old city of Ahmedabad; which includes everything from awe-inspiring wooden facades to intricately carved panels to stunning temples and gorgeous mosques. How do we play an Instagram Scavenger Hunt? 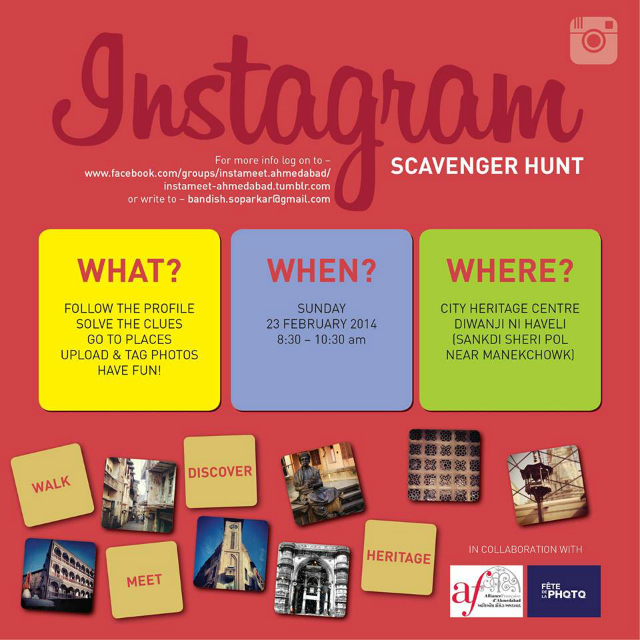 The Instagram Scavenger Hunt is a team event and each team will comprise of 4 participants. Once your team identifies the place from the picture, visit that place and upload a photo of it via your Instagram account. Whenever you upload a picture, 3 team members need to be present in the picture you clicked. Each team needs to use just one Instagram account to upload the pictures. So even if all your team members don’t have Instagram accounts, it is okay, they can still participate. If you are unable to form a team, then simply arrive at the venue and the organisers will help you connect with other players to form a team. 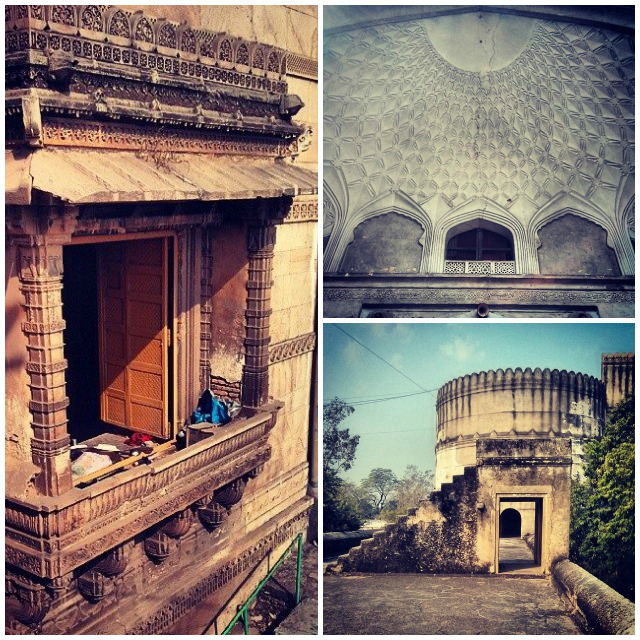 Starting point of the Instagram Scavenger Hunt: Diwanji Ni Haveli (AKA City Heritage Center) in Sankdi Sheri. The profile to be followed will be disclosed and rules will be explained at the starting point. If you plan to participate, don’t forget to wear your walking shoes and carry a water bottle. Got an active insta account, and really looking forward to this. But I am new to the city, what does one do then? Volunteer or click selfies? We recommend you register for the event and be there this weekend. The organisers will help you team up with other Instagrammers. The scavenger hunt is a great way to explore Ahmedabad. We hope you don’t miss it!